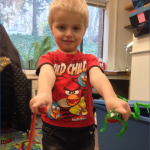 At the University of Washington READi Lab, we conduct research related to early detection and intervention for children with Autism Spectrum Disorder (ASD). Our studies cover a wide range of key areas in autism research. 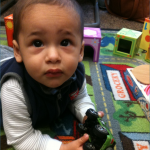 Our research participants are families with and without children with autism. Learn about the benefits of participating. Are you interested in improving your child's social-communication skills? This project is evaluating a parent-implemented intervention designed to improve children’s social and communication skills. Our study will examine the effectiveness of ImPACT (Improving Parents as Communicative Teachers) for infants at familial risk for ASD. Participating families will be randomly assigned to either the Treatment group or an Assess-and-Monitor group. How can we increase access to early screening and intervention for underserved families? 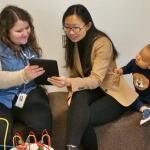 The READi Lab is partnering with health care, early intervention, and early learning programs in King County to reduce health care disparities in early ASD identification and treatment. This project involves: (1) conducting focus groups with community providers and families to understand barriers to communicating about ASD concerns, and (2) offering materials and training to community providers with the goals of increasing ASD screening and reducing the age at which children receive ASD specialized intervention. Can we improve the healthcare delivery system? This project is implementing and evaluating an innovative healthcare service delivery model designed to promote earlier access to specialized intervention for toddlers with ASD. 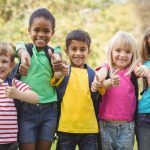 The Screen-Refer-Treat (SRT) model provides a coordinated and cost-effective approach to early identification and intervention by involving both Medical and Early Intervention (EI) providers, and represents a practical and sustainable strategy for bridging the gap between ASD concerns and ASD intervention. We are recruiting participants from four communities across Washington State: Skagit, Lewis, Yakima, and Spokane counties. Completing surveys at multiple time points. Do environmental exposures increase ASD risk? The ECHO Study is a large, nationwide project examining the effect of environmental risk factors on child health outcomes. We are participating in the “ASD-Enriched Risk Cohort” component, which is studying the shed baby teeth (i.e., teeth that have fallen out) from children who have older siblings with ASD. The purpose of the study is to explore how genetic factors interact with pre- and post-natal environmental chemical exposures to impact ASD risk. No upcoming studies at this time.